(P1) The response to Apple’s AirPods may have been mixed so far, but the company described them as a “runaway success”. Apple CEO Tim Cook, who was recently spotted touring the New York Stock Exchange, told CNBC in an interview the company had a “great holiday” quarter and called the AirPods a “runaway success”. (P2) “We’re making them as fast as we can,” he added. Apple AirPods, which are a pair of totally wireless headphones, went on sale earlier this month and shipping started shortly after Christmas in the US and other countries. (P3) Launched alongside the iPhone 7 and iPhone 7 Plus, AirPods were first unveiled in September. They were originally scheduled to hit the market in October and were priced Rs 15,400 in India. Apple, however, delayed the release saying they needed “a little more time”. 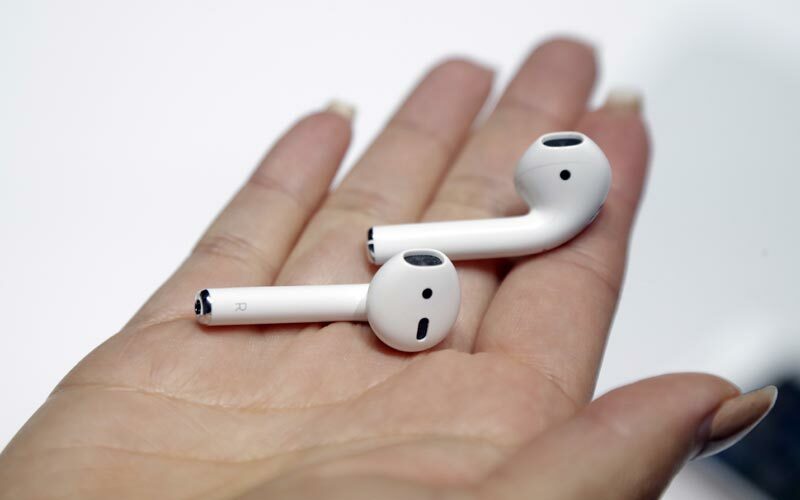 (P4) AirPods are Apple’s first wireless earbuds and they look similar to the company’s wired earphones. Powered by a new W1 chipset, AirPods have sensors that determine when the earpieces are in your ears. AirPods can wirelessly connect to the iPhone 7 and iPhone 7 Plus after Apple removed the headphone jack from its current flagships. (P5) While the AirPods are now available for sale, some users have recently discovered battery-related issues with the charging cradle. The charging case comes with its own battery, and when you place the AirPods inside the case, they will be charged up. Apple claims the battery in the case should last 24 hours, but some users say they are not getting anywhere close to this number. What is your opinion about Apple’s new AirPods? Do you believe Apple’s claim that the battery lasts 24 hours? Why or why not? If you don’t have an iPhone 7 or plus now, do you plan on getting one? Why or why not? The CEO of Apple states the sales of the AirPods so far have been a ________________. The AirPods have ________ that know when the buds are in a persons’ ears. Some users have reported ______________ issues with the AirPods. Apple asserts that the battery should last _____________.